The beach we monitor for tsunami debris: North Point Beach. I worked on a pilot project in the Bay Area to survey to monitor for Tsunami Debris. 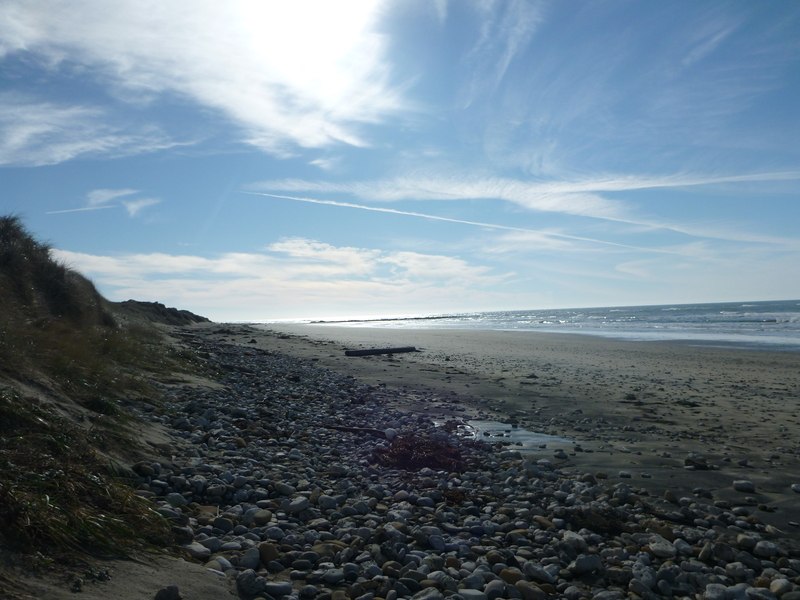 My monitoring partner, Bob Siegel, and went to North Point Beach in Ano Nuevo State Reserve each month and carefully checked for marine debris. Since marine debris is found on most of the beaches in the Pacific, it was difficult to tell whether an item was lost during the tsunami in Japan. However, NOAA feels that significant changes in the types and quantities of debris at a shoreline over time may be a sign that tsunami debris is washing ashore. To observe that shift, we are planning to collect information on the types and amounts of debris on the Bay Area shorelines for two years, as part of a NOAA Marine Debris Program shoreline monitoring project. This data allow us to compare any changes or shifts from the baseline. The initiative, called the Marine Debris Monitoring and Assessment Project (MD-MAP), has a great network of dedicated partners from NGOs, academia, and government conducting the monitoring using the standardized NOAA Marine Debris Shoreline Survey Field Guide protocol and datasheets.